CLOSED Giveaway: Enter to win a Get Ready for Spring Skincare Gift Set (worth $39)! 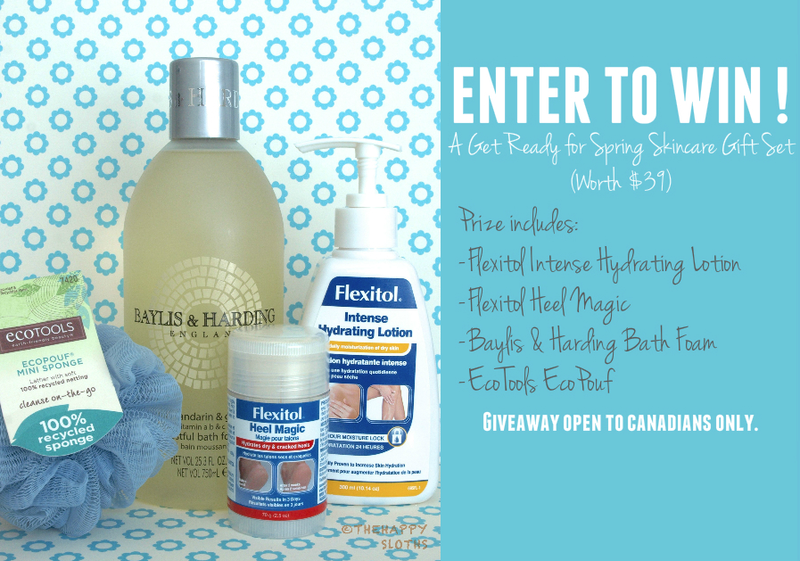 Disclaimer: As part of the Flexitol Get Ready for Spring Blogger Campaign with Canadian Beauty Bloggers, the prizes are provided by Farley & Co. All opinions on this blog are my own. Spring is officially here and to help you get ready, Farley & Co is generously sponsoring a giveaway featuring four amazing products that will make your skin feel soft and moisturized! The other lovely Canadian Beauty Bloggers are also holding the same giveaway, so feel free to enter their giveaways as well to increase your chances!